Vladimir Yevtushenkov’s asset-holding company Sistema has not inspired investor confidence since September of 2014. That was when Yevtushenkov was arrested in Moscow and charged with fraud and money-laundering in connexion with Sistema’s takeover of Bashneft, a Volga region oil producer. That year, Sistema’s market capitalization on the London Stock Exchange dropped from $15.5 billion to $1.2 billion, setting a new record for haircuts among Russia’s oligarchs. 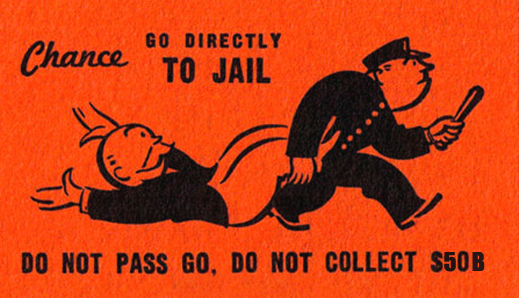 Yevtushenkov’s incarceration lasted eight weeks in home confinement, during which he gave up Bashneft and accepted a number of other terms from Russian prosecutors and their superiors. 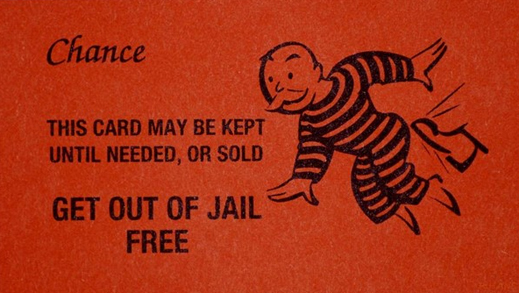 One of these get-out-of-jail cards has just come to light in Johannesburg, South Africa. Through leaked emails, a big-money deal has surfaced between Yevtushenkov and the President of South Africa, Jacob Zuma. How much money was promised and for what purpose is not known yet. But the deal in negotiation has been alleged by South African sources and reporters to be a case of skulduggery on Zuma’s part; that of his son, Duduzane Zuma, and of a financial advisor and collaborator of the Zuma family, Rajesh (aka Tony) Gupta. In Moscow today, Yevtushenkov’s head of corporate relations, head of press and head of investor relations would not confirm or deny the meetings with Zuma Senior, Zuma Junior and Gupta. They also refused to give details of the business Yevtushenkov has been conducting with President Zuma. The email evidence reported in Business Day this month indicates that on December 23, 2014, just five days after Yevtushenkov was cleared by President Vladimir Putin and released from arrest, he arranged for an email to be sent to Duduzane Zuma requesting a meeting between his father the President and Yevtushenkov. For the Business Day story in full, click to read. Yevtushenkov was writing to Zuma Junior when Sistema had no prior trade or investment interest in South Africa, and neither Yevtushenkov nor senior Sistema executives had visited the country on business. According to the email record reported by Business Day, in the preliminaries Yevtushenkov was represented by Yevgeny Chuikov (right), a corporate PR man. London educated, Chuikov had come to Sistema in 2010 from the British public relations company, Bell Pottinger. In September 2015 he was promoted from managing director of Sistema’s investor relations to head of the company’s corporate communications division. Chuikov is now in hiding at company headquarters; he will not allow the company switchboard to put through telephone-calls from the press, and he does not respond to emails. 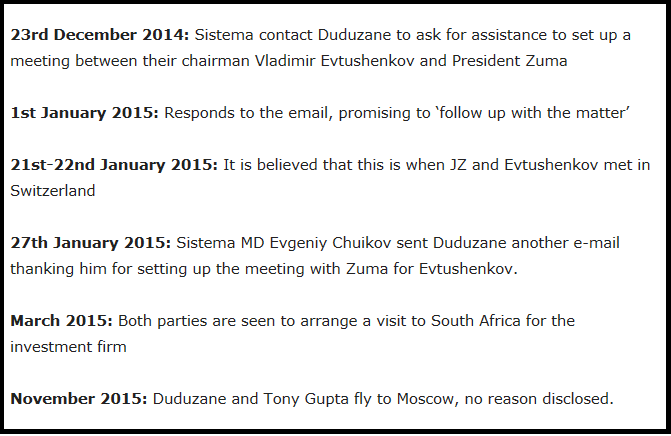 According to the leaked emails, the meeting between Yevtushenkov and Zuma took place during the Davos conference in Switzerland in January of 2015. Yevtushenkov then told Chuikov to tell Zuma Junior the discussion with the president had covered investments Sistema was thinking of making in the South African (SA) health care sector, and also in technologies for application in SA municipal management and in the operations of the SA intelligence and security services. No record has been found that Sistema had a commercial reason to offer either to the South Africans. Describing itself as “Russia’s leading public investment company, Sistema operates in a transparent manner and has established a clear organisational structure tailored to support the Group’s investment activities”. The most recent presentation of the company reports two-thirds of the company’s revenues come from the telephone company MTS. Trailing far behind, with 13% of revenues, is the children’s goods retailer in Moscow, Detskiy Mir. Segezha, a pulp and paper product manufacturer, generates 6%. MTS Bank, a portfolio of real estate, a land bank with apple orchards, grain and vegetable farms, a microchip supplier to the Russian Defence Ministry, and an electric grid company also contribute single-digit percentages of revenue. Sistema’s financial report for last year, released on March 31, 2017, shows it took in Rb698 billion ($11.4 billion) in revenues, and ended up with a bottom-line loss of Rb4.6 billion ($75 million). As of March 31, the group is carrying $475 million in debt. The negative sentiment of the London market, and the dive of Sistema’s share price, started at the beginning of 2014, and was already plummeting when Yevtushenkov’s arrest was announced. Yevtushenkov’s engagement of Lord Peter Mandelson to the Sistema board in 2013 failed to deter the arrest in Moscow or stop the rot in London. Company papers reveal that Sistema’s health care investments are small and Russia-centered – the Medsi health clinics aren’t an export commodity or service; neither is Sistema’s pharmaceutical company Binnopharm. Put “Africa” in the search box of the Sistema annual reports for 2014, 2015 and 2016, and it is obvious how empty the purported interest in South African demand for Russian-made health care or high technology exports was at the time of Yevtushenkov’s meeting with Zuma. A sale of grain produced by Sistema’s RZ Agro unit to South Africa was mentioned in the company’s annual report for 2014, but was too small to register in the financial reports. So, if not those things, what was Yevtushenkov keen to talk to President Zuma about, and what was the business which drew Zuma Junior and Gupta to Sistema headquarters in Moscow several months later? Left: Duduzane Zuma; right: Tony Gupta. Sistema’s press spokesman Sergei Kopytov and investment relations representative Yury Krebs, along with their boss Chuikov, refused to answer. That they are covering up is plain. That Yevtushenkov was under pressure from a Russian source outside his own company to make his Zuma move was also plain at the time. How are they connected? Yevtushenkov’s conflict with the Kremlin provides the clue. Long before the interest in Zuma appeared, Sistema’s takeover of the Bashneft oil company was the trigger for Yevtushenkov’s encounter with Russia’s Prosecutor-General. Once he had surrendered Bashneft to Rosneft, litigation began in civil courts. This archive reported what happened to Yevtushenkov in 2014. Click to read this, and this. Left, President Putin with Igor Sechin, May 2014; Sechin, Rosneft’s chief executive, orchestrated Yevtushenkov’s indictment and the capture of Bashneft for his company. Right: Vladimir Yevtushenkov in court, November 2014. Putin announced on December 18, 2014, that he was clearing Yevtushenkov of fraud and money-laundering charges in relation to Bashneft. The conflict continues between Yevtushenkov and Putin’s underlings. Rosneft is now suing Sistema for asset stripping, share and accounting fraud, claiming losses of Rb106.6 billion ($1.9 billion). Rosneft owns 69.3% of Bashneft; the government of Bashkortostan (Bashkiria), where most of Bashneft’s oilwells and refineries are located, owns 25%. On May 25, Sistema issued this refutation of Rosneft’s claims, concluding its liability is zero. To follow Sistema’s version of the controversy today, click to open. After losing the its first application in a Moscow commercial court on May 10, Rosneft continued its lawsuit in Ufa, the capital of Bashkortostan, where the courts are likely to be more cooperative. With an enemy like Sechin, Zuma cannot have been a friend Yevtushenkov needed or wanted. But ingratiating himself with the Kremlin was, according to Kremlin sources, a sensible thing for Yevtushenkov to try. In 2014 and 2015 the Kremlin had a $50 billion reason for being as friendly with Zuma as possible – that sum represented the base cost of the nuclear reactor supply contract Rosatom, the Russian state nuclear power corporation, was negotiating with South Africa. Left and right: Zuma and Putin at the BRICS summit meeting hosted by South Africa in Durban in March 2013; that was the Russian president’s only visit to South Africa, while Zuma has been to Russia often; they have also met together at the annual BRICS summits. Sandwiched between Yevtushenkov’s meeting with Zuma in January of 2015 and Zuma Junior’s visit to Moscow in November, President Zuma met Putin in Moscow on May 9; and in Ufa on July 8. Was Yevtushenkov’s overture to Zuma and the start of negotiations with Zuma’s son and Gupta a scheme Yevtushenkov had worked out with Sergei Kirienko, then chief executive of Rosatom? Was Yevtushenkov a special channel to persuade Zuma to finalize South Africa’s purchase of the nuclear reactors, according to terms Kirienko had signed with the South Africans just weeks before Yevtushenkov wrote Zuma? Left, Tina Joemat- Pettersson, appointed by Zuma to be energy minister on May 25, 2014, signed an agreement with Kirienko giving Rosatom front-running position in the international bidding to supply SA with nuclear reactors and associated equipment and technologies. Their signing took place in the Russian Embassy in Vienna on September 21, 2014. The timing was just three weeks after Zuma met with Putin at his summer residence outside Moscow. On that occasion, Zuma told Putin in front of the press: “I am also very happy that our relations are developing very steadily and very surely. I am also happy with the direction that we have set, as are many of my colleagues.” Steadily and surely -- those were the fifty-billion dollar words. On September 20, Zuma signed an order for Joemat-Pettersson to sign the Rosatom deal which followed the next day. For the full story, and the subsequent attack on the agreement by Rosatom’s American and French rivals, read this. In the months of bargaining which preceded the Rosatom agreement, another Russian oligarch was involved in an apparently unrelated deal whose proceeds were to have been controlled by a group of Zuma associates. That was Roman Abramovich’s plan to sell the Evraz steel company’s control stake in the SA steelmaker, Highveld Steel & Vanadium, for $320 million. The buyer in that deal was a group without a penny, but with what they thought was a loan from the Russian state bank VTB, backed by what they hoped would be an SA Government repayment guarantee. That story can be followed here. By early in 2014, the scheme had collapsed; none of the promised Russian cash reached the hands of the Zuma group. In October 2016, Kirienko was promoted by Putin to become his first deputy chief of staff. By then Rosatom’s hold on Zuma, and Zuma’s hold on the power to decide SA’s nuclear reactor procurement were both failing. For details of the Zuma effort to move SA electricity production to nuclear reactors at a cost of up 1 trillion Rand ($50 billion-$100 billion, depending on the exchange rate), and take additional profit from uranium mining, fuel enrichment, and electricity generation, read this account alleging deceit, fraud, and corruption on a multi-billion dollar scale. This story also highlights the involvement of Tony Gupta and his family in the takeover of the moribund SA uranium mine, Dominion Rietkuil. Reportedly with state financing and renamed the Shiva uranium mine, this was revived by the Guptas with the promise of a tenfold increase in demand for the ore and enriched fuel for Rosatom’s reactors. On March 30, 2017, Zuma fired Joemat-Pettersson as energy minister, reportedly because she had gone sour on the nuclear reactor deal. On April 26, the High Court of Western Cape province overruled the agreement which Joemat-Pettersson and Kirienko had signed. The full text of the court judgement, which also nullified two earlier agreements on nuclear cooperation with South Korea and the US, and two later ones signed with France and China , can be read here. 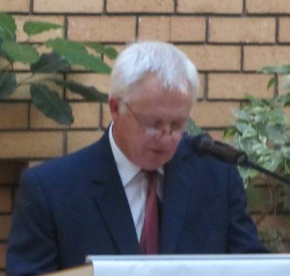 Justice Bozalek stopped short of charging Joemat-Pettersson and Zuma with acting illegally. That was up to parliament to debate and decide, the judge wrote. “It may very well also be the subject of a process of public participation conducted through Parliament. The outcome of this process cannot be foreseen nor should it be anticipated.” Outside parliament the South African consensus now is that Zuma’s presidency is as doomed as the Rosatom reactor deal.